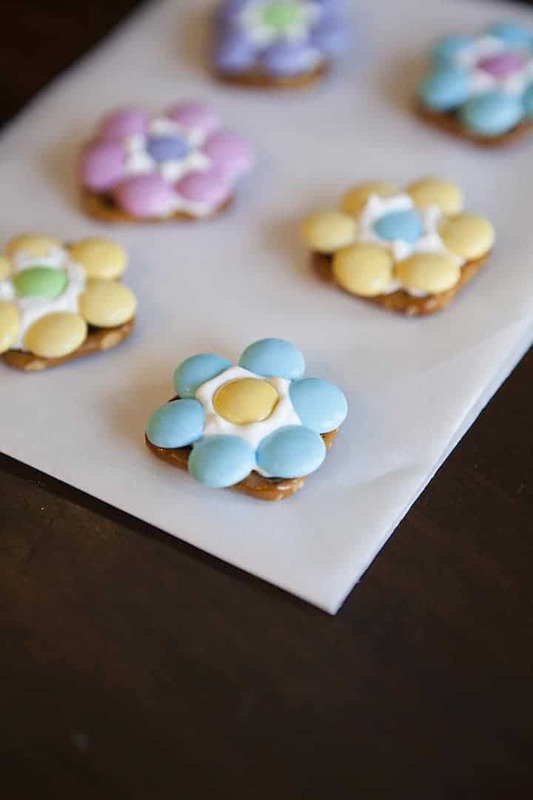 These Spring Flower Pretzel Bites are the perfect way to welcome Spring into your home. 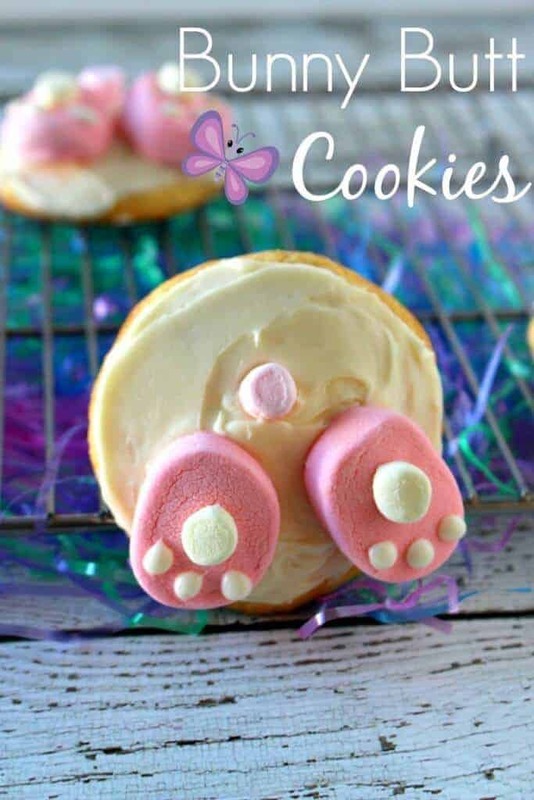 They are also the perfect easy Easter dessert to make with your kids! This sweet and salty dessert will be your new favorite when you need a little spring in your day! We love sweet and salty desserts. Some of our all time favorites are our Chocolate Covered Pretzel Rods (you can totally decorate these for any type of holiday or occasion) and our Salted Caramel Brownies! Some days you just need something that makes you smile. For me, this is usually in the form of food (is that bad). 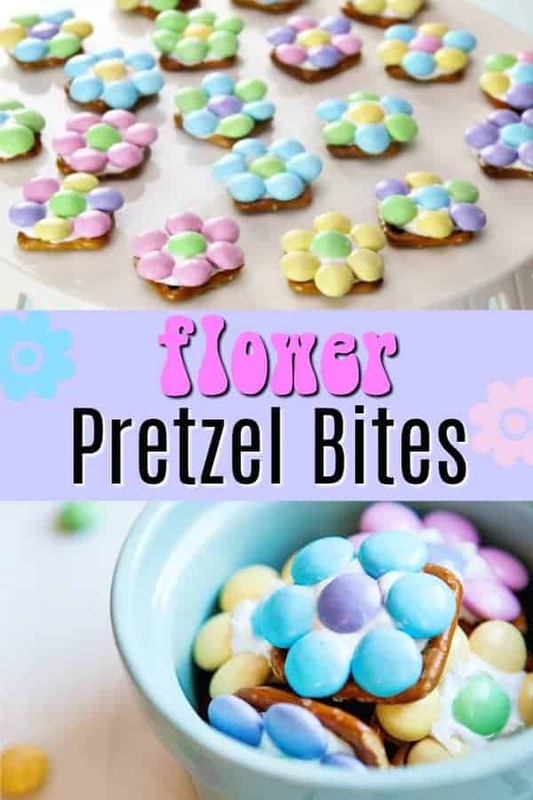 That is why I love these Spring Flower Pretzel Bites – the sweet and salty combination is my thing! All you need is three simple ingredients and you are on your way to, not only, a delicious dessert, but it is beyond adorable. You know how much I love cute food! We love easy desserts. Be sure to try some of our other favorites like this amazing Brownie Batter Dip or Banana Cream Pie Dip. 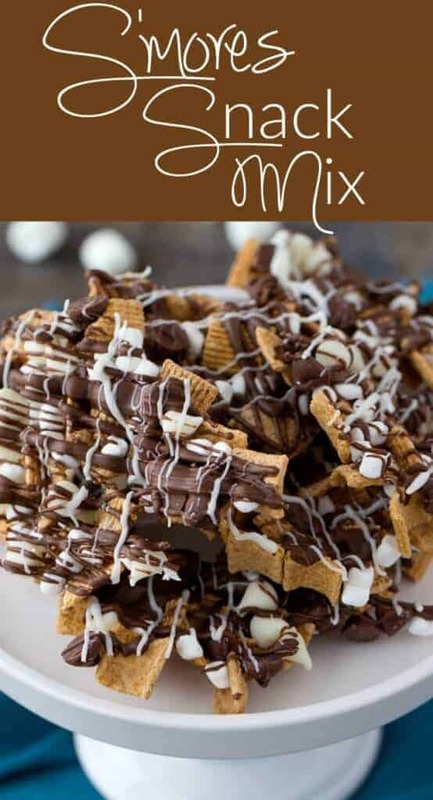 These are so easy to make and great to serve with a crowd! 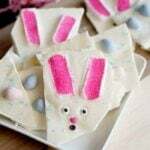 This is also a really fun “food craft” to do with your kids for Easter or really for any time of the year. They are really easy and your kids will love making them with you. 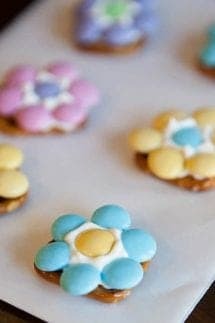 Spring Flower Pretzel Bites are simple to make and take no time at all. 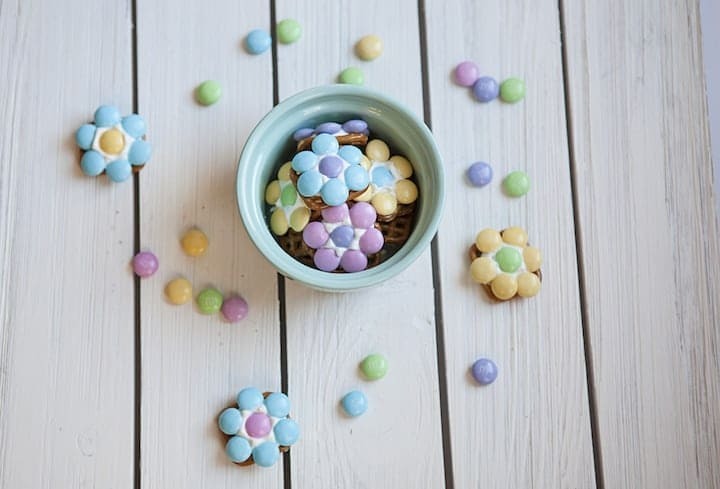 Just stock up on the cute pastel Easter M&M’s and you have a great treat for when the yucky weather hits – these Spring Pretzel are sure to put a smile on anyone’s face! Tools I love – these are some of my must have kitchen gadgets for Food Crafting! Silicon Baking Liner – I cannot stress enough how much you need these! Another great thing about these yummy treats, is that you can make them before you need them and store them until ready to eat! Just store them in an airtight container and they should stay good for quite some time! 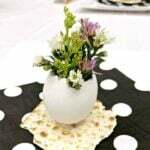 Want to make a nice little Easter gift for friends and family (or maybe just a Spring treat) – grab some of these cellophane gift baggies to put them in and tie with a pretty ribbon. This will make a super cute little gift! for tips, ideas & recipes! Warm in oven for 2-3 minutes - you don't want them melted, just softened. 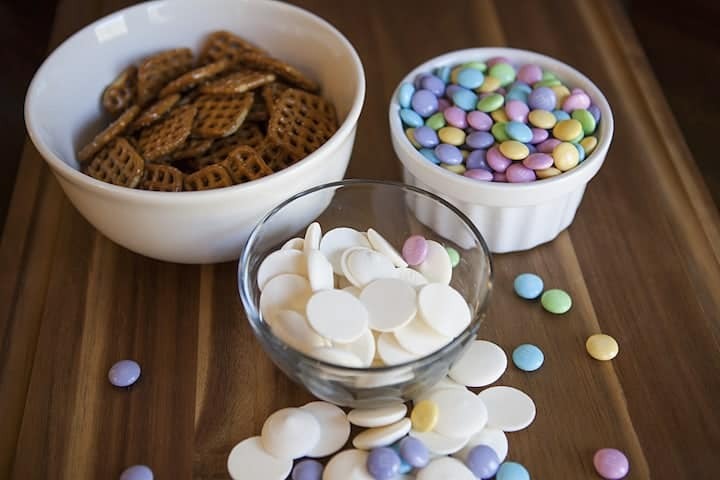 Quickly place one M& M in the center and surround it by 6 "petals". Gently press them down to "secure" them in the candy (if you are anything like me, it would drive me crazy to mess up these adorable flowers with a big "M", so place the M&M's "M" side down! Store in an airtight container - enjoy! Looking for some other great Spring and Summer Dessert? Love these!! I wish I had bought some extra bags of the pastel m&ms, but hey, regular colors will work too ?? I plan to make these year round! Making these today in little bags for the kids in my daughter’s Preschool class. Going to be presents for Moms at Mother’s Day party. This will be my 4th time making them. They turn out adorable. Love red, white and blue ones for the 4th. Awwwwww love that! Tag me if you share any pictures on social media! Would love to see them! Can these be froze or kept in refrigerator to be able to make ahead? Was wondering if anyone has tried that.